Beetroot relish – second batch! Moreover, on the whole, I am cooking more frequently. There’s a lot more planning ahead to make things, whether it’s a meal for the week or something to take to my next social gathering. (Sometimes there’s a lot more planning than doing, but I’m getting there.) My D&D friends get experimented on frequently. When I look at my original goal of eliminating shop-bought/processed stock, pesto, dips, relishes, cakes/slices… I’ve made excellent progress. In many cases this also aligns with my additional goal of reducing consumption of single-use plastic, so it’s win-win. Anyway, I’ve attempted several new recipes in the past couple of months. Here are the latest mixadventures. A few days after Christmas, we had a family working bee in my “garden” to get it under control. It was a short, sharp attack, over and done with in a few hours. Needless to say, when one is gifted with free labour, one needs to provide refreshments. But what to do when the cupboard is bare?! 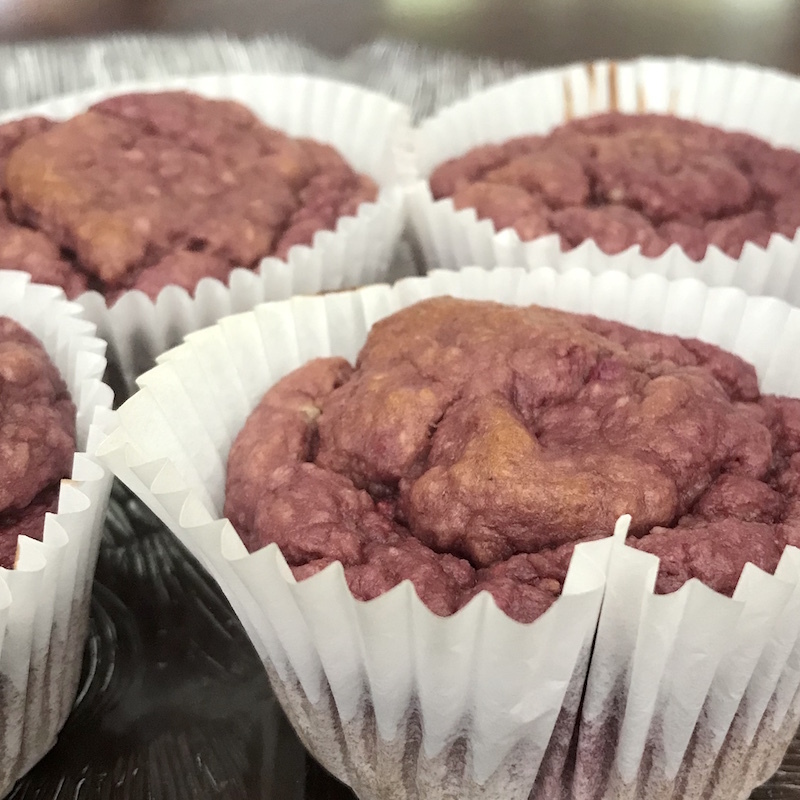 I scrounged around my supplies and trawled through the Thermomix Recipe Community to find a muffin recipe I could whip up in the morning, before they arrived. 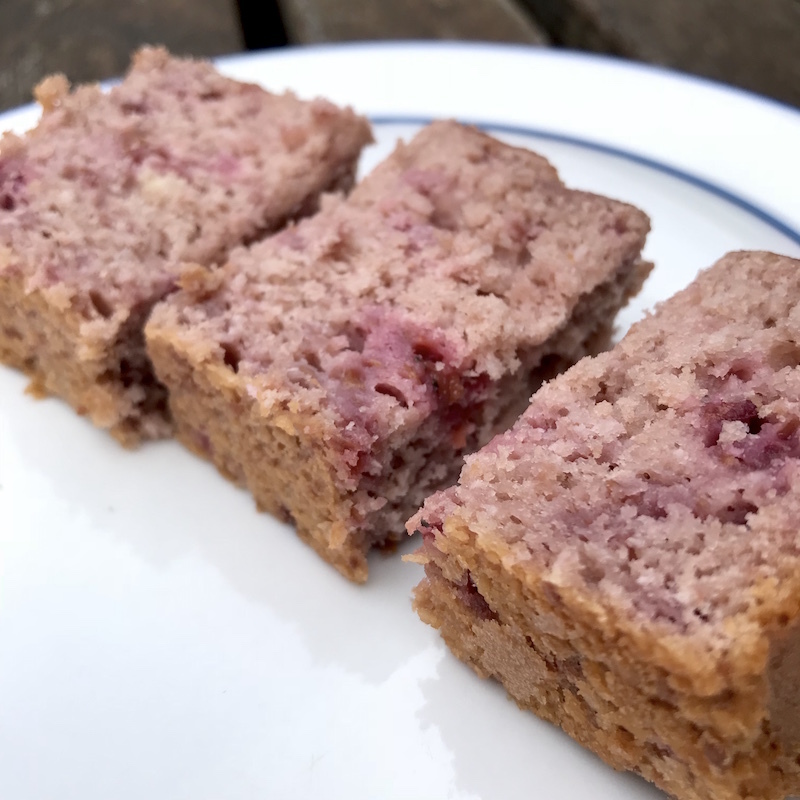 And this recipe for raspberry and coconut muffins was the one I found (and adapted). Because the raspberries were frozen into a chunk and I was in a rush, I blitzed them in the Thermomix instead of folding them through. (You could only really do this with a Thermomix.) And I used at least double the quantity. The muffins came out pink (of course) but I really liked the raspberry flavour infused through the whole muffin. These were definitely a hit and very easy to make (my MO). 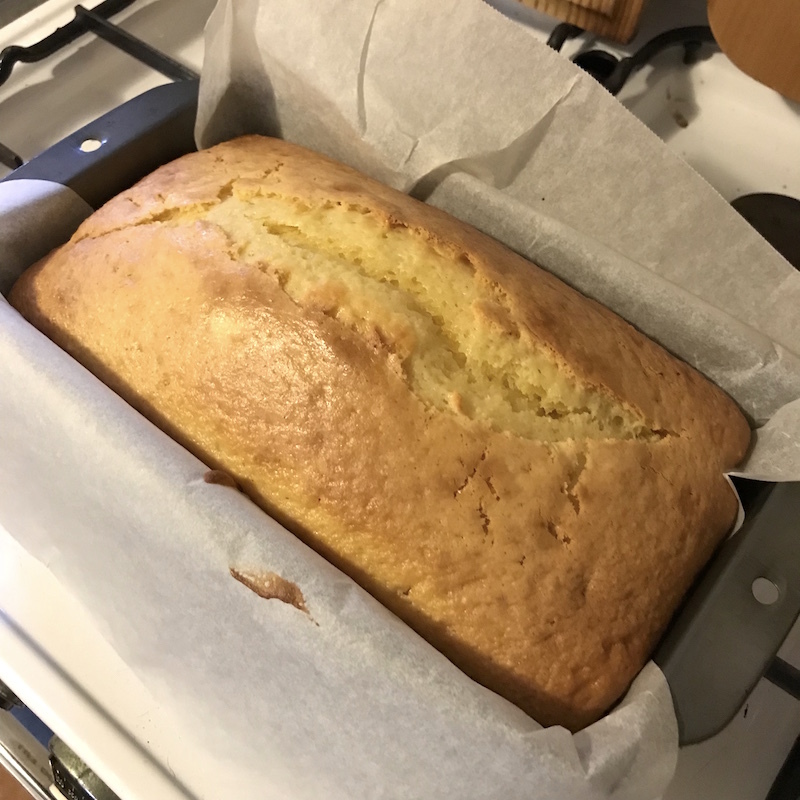 I have since made the recipe again, this time cooking in a loaf tin instead of muffin cases. It certainly works very well as a cake too. While the rice cooks, you steam the vegetables and the eggs in their shells. I added a can of corn and more than doubled the eggs. The combined salad keeps really well, and easily did six of us for a light meal with leftovers. I have since made it again using half the amount of rice (minus the corn) and it lasted me for three meals. 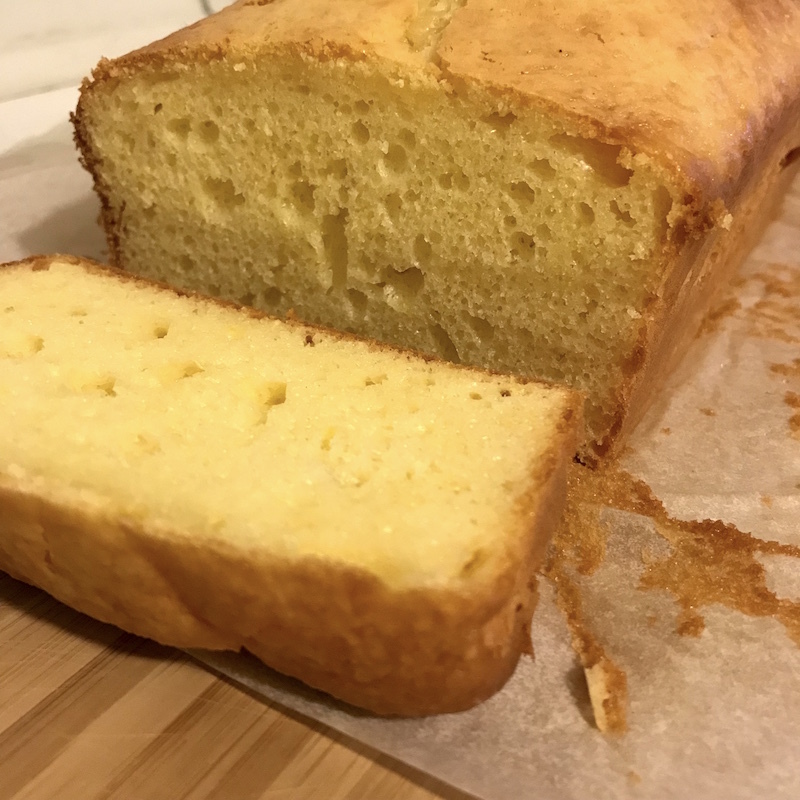 This cake is simple and tasty, if a bit too light for my personal tastes. After I ate the whole cake (don’t judge me) I was pretty bored of it. But it would be a good afternoon tea cake, I think. My D&D friends copped my average first attempt at tiramisu. I absolutely adore eating tiramisu, and decided I needed to try making it… But, being a tiramisu lover, I also have high expectations. Expectations that I failed to meet. Ugh. A little reading suggested that the traditional recipe is the whole raw egg version with no cream. Which corresponds to the Basic Cookbook recipe… so that’s the one I ended up making, after all. My attempt was… OK. I don’t think I soaked the biscuits enough, and I think I beat the “custard” too much so the eggs began to separate a little. It just wasn’t quite… right. You can see there’s disproportionately more custard on the top. And that’s a large quantity of grated chocolate you can see in the layers… Grating chocolate is one thing the Thermomix is extremely good for! But it was edible, and after most of my friends politely ate a piece I took the rest home and gorged on it until it was gone. I’m not entirely sure I’ll make it again, or if I do I might try a few adaptations. We’ll see. So that’s my last two months in the kitchen. I’m currently eating my way through yet another batch of soup, based on sweet potato and carrot, into which I tossed some red lentils as well as some other vegetables. The soups are always pretty yummy.